Rick Beyer is a historian, author, filmmaker and speaker dedicated to bringing history to life. 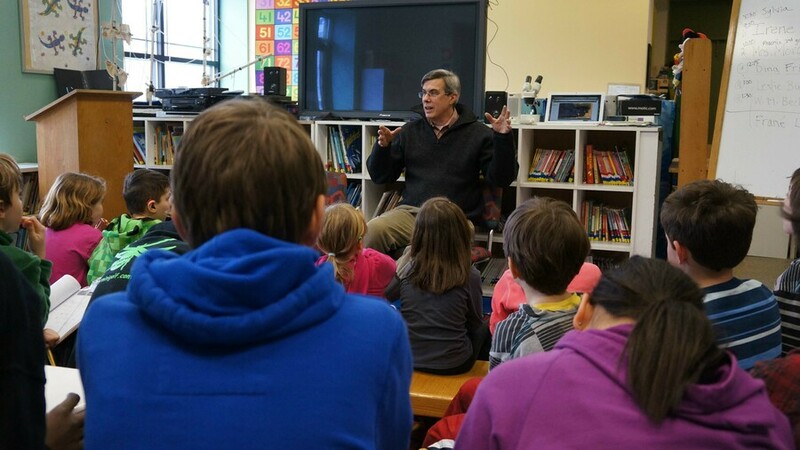 As a visiting artist, he offers multiple presentations and programs. In the summer of 1944, a handpicked group of young GIs landed in France to conduct a secret mission. Armed with fake rubber tanks, sound effects, and illusion, their job was to create a traveling road show of deception on the battlefields of Europe, with the German Army as their audience. The 1,100 men of the Twenty-Third Headquarters Special Troops, known as the Ghost Army, pretended to be many different US Army units. They conjured up phony convoys, phantom divisions, and make-believe headquarters to fool the enemy about the strength and location of American troops. This story is brought to life in a multimedia presentation that includes photos, maps, video clips other material. Many of the soldiers were artists, including future fashion designer Bill Blass and painter Ellsworth Kelly. The presentation weaves their wartime art into an incredible tale of using creativity to save lives on the battlefront. In Their Own Words is an account of the first 48 hours of the American Revolution, drawn from first-person accounts of 27 men and women who were there. Every word the characters speak is taken from depositions, letters, reports, and other writings of people who were participants in the events of that day. The action is knit together with short passages of narration. These eyewitness reports differ in many important details. People remembered things differently, and almost every writer had an underlying personal agenda. Nonetheless, these are the words of people who were actually there: men and women who smelled the smoke, heard the screams, and saw the blood. They give us a glimpse of what it might have been like to be present when the drums sounded. Students participate in a 20-30 minute group reading led by Rick Beyer. 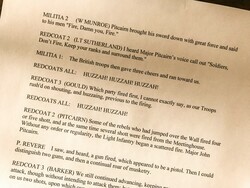 The basic script can be performed by 6-12 people. It can also be divided up into acts, so that a different group of students perform each of the acts to accommodate larger groups. Advance consultation with teachers will be key in order to tailor an experience that will most benefit their students. A script and teaching guide will be provided in advance. Minimal props will also be supplied. A fun-filled roller coaster ride through music history. Learn about the president saved by a song, the mega-hit dashed off in a fit of anger at actor Robert DeNiro, the orchestra leader killed by his own conducting, and the most important person in rock ‘n’ roll history—chances are you’ve never heard of him! Not to mention the oldest song in history, or the Battle of the Bands that gave birth to an iconic instrument. The presentation includes an array of music and video clips spanning multiple genres and eras.